Buna-N or NBR is a polymer of butadiene and acrylonitrile, and is used for extruded as well as molded products. The O-rings made from this material are valued for their excellent mechanical and resistance properties. SSP Seals provides nitrile O-rings, which are designed for closed environments. These seals provide excellent sealing and reliable performance in harsh environments. O-rings can be used as a shaft seal, or face to face gasket style seal. These sealing solutions are technically mechanical gaskets. 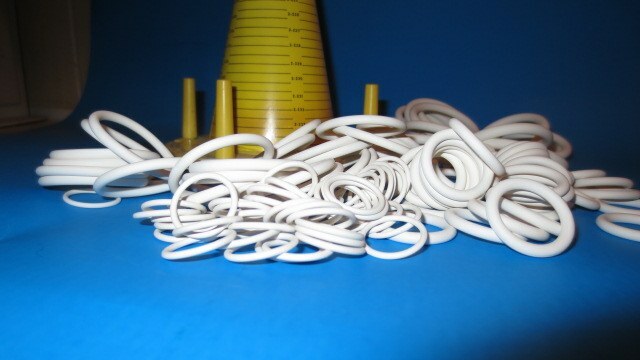 These O-rings provide excellent resistance against a wide variety of chemicals. These chemicals include mineral oils, aliphatic hydrocarbons, hydraulic fluids, petroleum greases, vegetable oils, and water. Nitrile O-rings are ideal for food and beverage processing applications. Buna-N has an operating temperature range between -22 °F to 212 °F. These nitrile O-rings are available in phthalate free versions and are metal detectable/x-ray inspectable. The nitrile O-rings allow both linear and rotary movements. To know more about nitrile O-rings and other O-rings we provide, please contact us at the earliest.